A 46-year-old woman has been arrested for setting fire to the main gate and door of an HDB flat in Tampines yesterday morning, the police said in a press release. The Straits Times understands that the fire, which broke out in a fifth-floor rental unit, started from a storage cabinet. Three women, aged between 19 and 31, were taken to Changi General Hospital to be treated for smoke inhalation. They are said to be Malaysians - two air stewardesses and an engineer. The police arrested the suspect within 10 hours of the report. 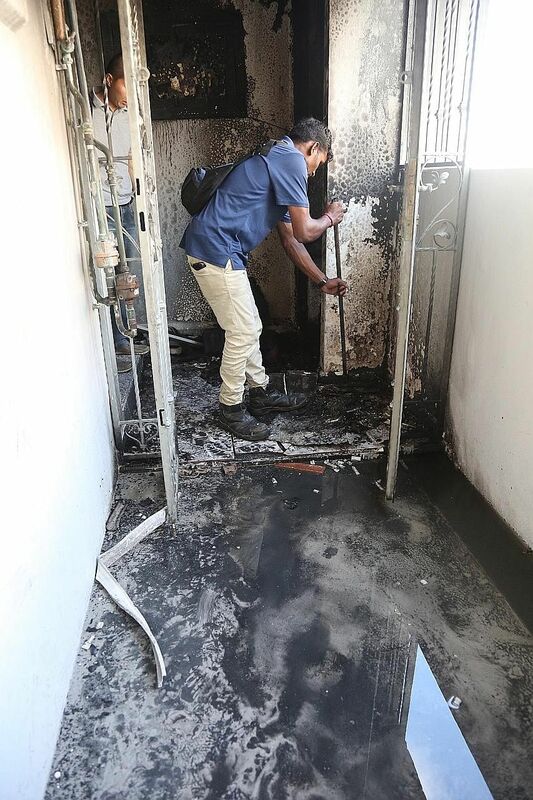 Preliminary investigations showed that one of the residents in the unit was a former tenant of the suspect who had moved out earlier this year, causing her to be disgruntled. She will be charged today with mischief by fire. Anyone found guilty can be jailed up to seven years, and fined.